Five years ago, the government members of the Product Stewardship Institute identified packaging and printed paper as the next priority waste stream. The reason was simple: recycling rates have stagnated for over a decade, the costs of managing garbage have risen, and recycling jobs continue to disappear into garbage trucks as valuable materials are carted off to landfills and incinerators. These government officials have known for quite a while that they need a new strategy. And so, they did what government agencies always do: they earnestly attempted to engage the companies whose products and packaging cost taxpayers millions of dollars in waste management fees each year—dollars that might otherwise be used to hire teachers, firemen, and police. Unfortunately, most of those companies did not participate in PSI-facilitated multi-stakeholder discussions to which they were invited. And many refused to take part in other collaborative efforts. Fast forward to today, and we see that very little has changed. We at PSI have recently learned that AMERIPEN—the U.S. lobbying arm for Procter & Gamble, Colgate-Palmolive, ConAgra Foods, General Mills, Owens-Illinois, Kellogg Company, Tetra Pak, and other companies—has developed an internal policy statement on EPR that, in short, disparages EPR and its supporters. Yet, what is perhaps most dubious is that AMERIPEN crafted this position statement before completing its own EPR research. This indicates several things: that AMERIPEN is fearful of facts, dismissive of government interests, and unable to have a meaningful conversation with those with whom they disagree. AMERIPEN has only invited two state officials and one local official to participate in its meetings. PSI, which represents the varied interests of 47 states and hundreds of local governments on product stewardship issues, has offered to facilitate discussion with a representative government group, but AMERIPEN has not agreed to engage. AMERIPEN’s own EPR research team has refused to collaborate with PSI. How can AMERIPEN produce a non-biased, fact-based report when it has already come to the anti-EPR conclusion stated in its draft policy? By contrast, PSI has conducted its research on EPR programs in a fully transparent fashion through another North American industry association of brand owners, retailers, recyclers, and other businesses seeking to reduce packaging waste. AMERIPEN’s statement mischaracterizes the nature of the discussions taking place in the U.S. and its focus on environmental outcomes. 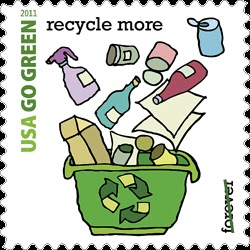 The EPR movement would not have been started in the U.S. if recycling rates were not stagnant. AMERIPEN has refused numerous invitations to engage in exactly the type of broad discussion it says it wants – one focused on reaching overall system goals. PSI has repeatedly tried to engage AMERIPEN members in a discussion about their view of the problem, their overall goals, the barriers to achieving those goals, and a comprehensive set of potential strategies to consider (including voluntary initiatives, EPR, and other regulatory approaches). There are many U.S. EPR models for other products, numerous EPR models for packaging and printed paper around the world, and several U.S. EPR models for packaging and printed paper that have been developed by PSI, Recycling Reinvented, and others. AMERIPEN cannot refuse to discuss whether and how those models might work, and then complain that there are no models. In the U.S., our goal should be to develop a basic model that balances stakeholder interests in a broad fashion, and then leaves it up to the stakeholders in each state to flesh out the details based on geographic variation and preference. Some states might prefer an EPR approach as part of a comprehensive strategy, while others prefer a purely voluntary approach. Even states taking an EPR approach will likely seek a variety of complementary strategies. AMERIPEN’s statement relies on two flawed studies – one conducted by the Grocery Manufacturers Association and the other by the Product Management Alliance, both of which hired the same consulting firm, SAIC, to piece together bits of data to produce the anti-EPR conclusions that their clients wanted. These studies make their own assumptions about the goals of EPR programs without asking those who advocate for, and run, those programs, then claim that their (SAIC’s) assumed goals are not being met. EPR programs are being proposed to boost recycling, reduce waste, create recycling jobs, save taxpayers money, and solve problems that have existed for decades. Packaging EPR laws have been passed in over 30 European countries over the past 20 years, as well as in four Canadian provinces (with the others to follow in the next few years), Israel, Japan, South Korea, Brazil, and other countries. These programs would not be spreading and perceived as successful if their goals were not being met. The basic job of any state and local government official is to balance the multiple interests of companies, environmental groups, and their citizens. AMERIPEN’s statement implies that states have not yet figured out the basic outcomes they seek. In fact, most states know exactly what outcomes they want to achieve, and an increasing number of states have publicly stated, often in published solid waste master plans from up to a decade ago, that EPR is a main part of their overall waste management strategy. This statement sums up the problem with AMERIPEN’s EPR policy. I have not met a stakeholder group that does not want to increase recycling, increase efficiency, and incorporate best practices. However, AMERIPEN will not achieve these goals without involving a significant number of local and state government officials who manage the existing diverse and complex system. By engaging with these officials, AMERIPEN will better understand those systems and their challenges. AMERIPEN’s strategy to optimize the current system is certainly a worthy approach. Unfortunately, they have yet to articulate what policies or programs they believe will optimize the system. In addition, if solely optimizing the current system could solve the problem, it would have been done long ago. I also have not encountered a program without financial and administrative burdens. Managing waste is a significant burden to taxpayers and government, but not the same burden to manufacturers and consumers. What is completely lacking in AMERIPEN’s policy is an acknowledgement of their role and responsibility for reducing the external costs of their products on taxpayers who spend billions of dollars every year to cart their packaging to landfills and incinerators. Also lacking is an understanding of the hundreds of millions of taxpayer dollars that governments have already spent to develop and maintain the current recycling system. AMERIPEN cannot talk about financial and administrative burdens without understanding how those burdens are currently allocated. It is far easier for AMERIPEN to oppose efforts to internalize the true costs that their products impose on taxpayers rather than engage in collaborative discussions to alleviate those costs and impacts. What they might find, however, is that in-depth collaboration can actually satisfy their own interests in obtaining a low-cost, high quality, consistent stream of recycled materials. Only real collaboration will result in true innovation. AMERIPEN members comprise many multi-billion dollar companies that, for the most part, are led by packaging experts. Unfortunately, these same people do not understand solid waste management. AMERIPEN has convinced itself of a solution while shutting out any possibility that they may be wrong. By closing themselves off to new information from those who are truly experts in managing waste, AMERIPEN’s members have operated from a place of fear and, unfortunately, ignorance. AMERIPEN has driven its stake into the ground, and then told the rest of us to go take a hike while they fix the problem. How much longer should we wait? There is little hope that recycling for packaging and printed paper will increase in the U.S. to the extent needed unless AMERIPEN’s member companies, as well as other non-AMERIPEN companies, understand that they have something important to learn from others, and become willing to engage in a reasonable discussion with those with whom they disagree. I believe in the ability of people with different viewpoints to come together and find common ground. I have experienced it many times, and I am not immune to major changes in perspective myself. But it takes a willingness to be proven wrong, and a confidence and ability to show others why you think you are right. AMERIPEN’s new EPR policy illustrates that it currently lacks both. Twelve years ago, when PSI was getting off the ground, my personal vision was that government and industry representatives could have meaningful discussions about waste policy outside the legislative arena, and develop joint policies, regulations, and laws to protect human health and the environment. I was tired of the traditional unilateral government approach to pass laws over the fierce objections of industry. Collaboration, after all, can achieve far better results than forcing anyone to do anything. Fast forward twelve years, to today. While there are many stellar individual examples of corporate leaders finding ways to reduce their product impacts, far more companies have chosen to thwart attempts at having an open conversation about their environmental and social responsibility. In an ironic twist of self-fulfilling prophesy, most companies that hate regulation and want smaller government only become “greener” through the threat of legislation. In an ironic twist of self-fulfilling prophesy, most companies that hate regulation and want smaller government only become “greener” through the threat of legislation. PSI works on about 18 product categories, and has invited manufacturers, retailers, and other businesses associated with every one of these products to discuss how to reduce their health and environmental impacts. The only industries to fully engage in these discussions are paint (through the American Coatings Association) and rechargeable batteries (through Call2Recycle). The International Sleep Products Association would not bring any members to our two open national mattress dialogue meetings, refused to provide contact information, and would not discuss strategies to solve the problem. The majority of U.S. consumer packaged goods (CPG) companies were invited to attend our three technical packaging calls that recently addressed both voluntary and regulated strategies to reduce, reuse, and recycle packaging and printed material, including non-EPR systems. Only a few participated, and they have not invited PSI to attend any of their discussions. The truth is that most CPG company representatives in the U.S. are so new to the issue of packaging waste and recycling that they do not know what to do. There are many in this field, including PSI, who have been working on these issues for years, and can provide insights and opportunities for productive discussion among all stakeholder groups. However, this can only happen if these companies do not close ranks and only discuss strategies among themselves. The National Electrical Manufacturers Association came to PSI five years ago seeking EPR legislation on mercury thermostats because they did not want to continue paying for the recycling of thermostats from free-riding companies not contributing to the industry-funded thermostat recycling program. After six months of multi-stakeholder negotiations and after all issues were negotiated, they walked away from the agreement and have since opposed all thermostat legislation except bills that codify their voluntary program. No wonder why environmental groups have sharpened the saw against these companies. We have now come full circle to the point where PSI began – governments are left with little choice but to force legislation on industry, or accept whatever programs industry wants to do. That is truly a sad waste of all of our time and energy. Yet the world turns, and PSI will react to this reality. We will continue to seek out corporate leaders, like those on our Advisory Council, at the American Coatings Association, and at Call2Recycle. And we will continue to support and strengthen voluntary programs as well, since many states will not support legislation under any circumstances. But the truth is that PSI is being forced into the same antagonistic fight in state legislatures that we wanted to avoid when we were created in 2000. Is anyone out there? Hello? For the 11th year in a row, Massachusetts has failed to pass electronics EPR legislation. It is now 12 years since the Commonwealth became the first state in the country to ban the disposal of lead-bearing cathode ray tubes, sparking the electronics recycling industry in the U.S…and placing the financial burden to manage electronics on Massachusetts cities and towns. It was the classic ban without a plan. Unlike the stellar U.S. women gymnasts who earned Gold in London yesterday, our country fails miserably at passing legislation that will keep gold and other valuable materials out of our country’s landfills and incinerators. What a waste. What a shame. To watch our great and mighty companies offshore jobs, complain about it being the only choice they have, but do little to create thousands of green jobs that are there for the asking if they would engage with PSI and other stakeholders to develop extended producer responsibility (EPR) laws and other strategies that meet their own interests. The powerful corporate self interest that has blocked movement on product stewardship and EPR in the U.S. is the same one that unknowingly is weakening itself, just as the U.S. auto industry’s fight against fuel efficiency standards weakened itself, causing the need for a government bail-out. I just finished yet another book that chronicles ways that U.S. companies and policy makers are failing to take actions that will strengthen our economy, instead resulting in the slow decline of U.S. economic power. Edward Luce’s Time to Start Thinking shows what the product stewardship movement experiences on a smaller scale – a failure to launch. Look no further than the microcosm of the product stewardship field, where many unenlightened companies fight against policies that will save billions of dollars for U.S. taxpayers, reduce waste, and generate thousands of recycling jobs. These companies operate under the guise of groups like the Product Management Alliance, which evaluates EPR laws by showing that the laws that they weaken actually don’t perform well. How enlightening! The powerful corporate self interest that has blocked movement on product stewardship and EPR in the U.S. is the same one that unknowingly is weakening itself, just as the U.S. auto industry’s fight against fuel efficiency standards weakened itself, causing the need for a government bail-out. As I wake up this morning to yet another failed attempt to pass an e-waste bill in the all-Democratic Massachusetts Legislature (and with its Democratic Governor), I wonder what this failure is all about…was Dell so bent on passing a bill that ensured that any goals included would already be met before the law went into effect? Or was the House leadership frozen in political gridlock on matters far removed from the bill itself? It is clear that there was no consensus on the bill, but how can stakeholders be so far apart for so long that we cannot figure out a way to act in all of our own self interest? Close your eyes…and envision a time when we in the U.S. really went for the gold…like those women Olympic gymnastic heroes of today. Rather than burying our gold in the ground and mining raw materials in an endless cycle of waste, we owe it to ourselves to find a way to break out of this malaise together. Individual responsibility. In our world of product stewardship, these words have one meaning – a company having responsibility for safely managing its products from manufacture to post-consumer recycling or disposal. The Supreme Court decision on the health care law highlighted another individual responsibility – that citizens have the obligation to buy health insurance to cover their own medical care. Both relate to the principle that we are all responsible for our own actions and the negative impact they have on others. What is so puzzling to me is why those who adhere strictly to the individual responsibility principle when it applies to people whose homes were foreclosed, those with excess credit card debt, and those who do not “pull their weight” in society, do not extend their views to product manufacture and health care. Manufacturers in the U.S. know that this All-American principle of individual responsibility is coming to meet them, even as many of them try to delay the greeting. Individual responsibility is the bedrock of being an American. We are a people of individual rights…and responsibilities. We want our freedom…but we know that we have a responsibility to our neighbors, our community, and the wider society. We don’t like free riders, and we know that we have to do our part. That is what it means to be an American. No one needs to look over our shoulder because we are driven by an inner responsibility, whether moral, religious, or communal. But it is deep, and it makes us who we are as a country. So why do those who profess individual liberties walk away from their own responsibility to manage the products their companies make in a way that does not harm their fellow citizens? Why do they want to allow free riders and put an undue burden on others…on me, and on you? All the rest of us are also paying for the recycling or disposal of every product put in the marketplace. If a company like Preserve is innovating its way to create products with recycled content and is committed to recycle its own products, why aren’t its competitors doing the same thing? Why should one company take responsibility for its environmental impacts while others don’t? I hate being told what to do. In that way, I might have some friends out there. But I sure as heck don’t like freeloaders who cause impacts that affect me, or make me pay for those impacts. Product manufacturers and retailers have a societal responsibility, and we know the negative impacts that used consumer products, such as electronics, mercury thermostats, and pesticides, can have on our health, our environment, and our economy, even as they have many positive impacts on our quality of life. Those who want freedom should take responsibility for the freedom this country gives them in their pursuit of a profitable business. Otherwise, they will force the big bad government to make them responsible citizens….united with the Supreme Court and the people of this country. The June 2012 edition of Inc. magazine contains an interview with author Jim Collins about how to grow a great company. In the piece, Collins highlights how a few of the great leaders, like Yvon Chouinard, the founder of Patagonia, have turned their company into a movement. Chouinard developed rock climbing equipment to reduce the impact that he and fellow climbers have on the environment. His company helped start a movement that motivated the climbing community. “A movement springs up around a cause,” says Collins in the Inc. article. Product stewardship is such a movement, and its cause is to help our society live within our material means by holding companies responsible for reducing the environmental and social impact from the products they make and sell. The Product Stewardship Institute is part of this wider movement. But movements are comprised of people, and PSI has been blessed with some truly amazing individuals who have chosen to apply their skills and passion to serve the greater public good while working with our team. This month, Sierra Fletcher, PSI’s Director of Policy and Programs, and Kate Hagemann, an Associate, will be moving on. After five years at PSI, Sierra will be moving back to her home state of Maine, where she will work for the Environmental Health Advocacy Center as a legislative advocate at the state and federal level on toxics policy. Kate has enrolled at Yale University for a Masters Degree in environmental policy where she will take up her interest in lifecycle assessment that was cultivated at PSI. Both have been critical to the success of PSI, and they will be sorely missed. While PSI has been on the front lines of reducing the health and environmental impacts from consumer products, we have also been conscious of our role as a place for young and talented individuals to find a home for their passions. We have created jobs that did not exist 20 or 30 years ago. But as an organization that is part of a movement, we understand that movements do not stand still, but are dynamic. People come and go. While we will miss Sierra and Kate, we know that they will carry their experience from PSI on to their next gig, leaving a space for the next passionate, smart person who is ready to contribute to the product stewardship movement. Change can truly be an opportunity for growth. PSI’s staff changes have given us the chance to reflect on our successes, challenges, and the road ahead. There is much more for us to do together, and we are ready to craft the new team, and know that you are all there by our side. John E. Sununu, former U.S. Senator from New Hampshire, wrote an Op-Ed that appeared in the June 5 Boston Globe in which he touted last week’s private launch of a rocket into space as heralding the dawn of private investment in a domain that was previously solely that of government. Why then can’t the post office be privatized, he asks. I wonder the same thing. The U.S. Postal Service did not respond well to the writing on the wall over the past 20 years, as the need for their letter carrier services gave way to faxes and the Internet. I tried to get USPS representatives interested in becoming a reverse distribution network for collecting used products for recycling, but they couldn’t grasp the concept. Their most common function now is to pass on costs to local governments to recycle or dispose of unwanted marketing queries and catalogues. But I also wonder why those who support the private sector taking over the responsibility for government functions have such a hard time when it comes to trash or, should I say, the products that ultimately become trash. Companies derive profits from making and selling products, and it is accepted that these companies should internalize these profits. Why then should the costs of managing those products after they are consumed be externalized to society? Why should these costs become government’s costs? After all, we (all taxpayers) pay for this, not the companies that make or sell the products. In most places in the country, there is no differentiation between a computer, a piece of paper, an aluminum can, or a sofa. Stick it on the curb or bring it to the dump and you pay the same price. Government has little influence over product design to make a couch that weighs half as much but still performs the same. But the private sector does…if only given the incentive. Government’s role traditionally has been to clear the streets of trash to protect public health and safety. However, over the past 40 years, government has also invested billions of dollars nationally in creating an infrastructure to collect and recycle used products, resulting in millions of dollars of private sector profits. This, too, is government’s traditional role. In his new book, Time to Start Thinking, Edward Luce recounts how government paved the way for the private sector to profit from the Internet through billions of dollars of taxpayer investment. Thomas Friedman, in his new book, That Used to be Us, laments the lack of government investment now in new energy efficient technologies that can pave the way for private sector investments in the next generation of clean energy technology. Government paves the way by investing in the future of the country. But there is a time when it should step aside for the private sector to take over. State and local governments have invested enough in developing the infrastructure that is now serviced by waste management and recycling companies. This public sector investment has yielded millions of recycling jobs, a reduction in environmental impacts, and cost savings. The investment has paid off. But we are at a critical juncture. Government does not have the funds to invest any more. It is time for the private sector to internalize post-consumer product costs and to invest in sustainable products and collection systems that recover valuable materials for the manufacture of new products. This transition to a more sustainable economy is rooted in our ability to forge a lasting partnership between the private sector and government. I am with John Sununu on this one. He forecasts a person’s typical response to change by clinging to the status quo. Look at it this way. Everything that we buy will be transformed to some degree. We change the things we buy by using them. Therefore, we are all agents of change. It is time to change how waste is managed in this country. Calling all private sector small government advocates – we are ready for you.